e-Spirit Inc., a leading supplier of content management solutions, today announced that L’Oréal Luxe, owner of the world's main leading luxury beauty brands, has selected the FirstSpirit CMS to improve rich content management within editorial sections on e-commerce sites managed by Demandware. Using FirstSpirit allows L’Oréal Luxe to easily create and share content across multiple country websites and to launch online Beauty Magazines that offer make-up tutorials, articles and styling tips, among other rich media content. The implementation is currently live in France, Canada, United States, China and Mexico and will be rolling out to Italy, Spain, Middle East in the coming months. During initial discussions, L’Oréal Luxe highlighted the need for a Web content management system that could power the Beauty Magazines of its brands. These magazines feature beauty blog articles, make-up tutorials and how-to videos. One of the many features of FirstSpirit that L’Oréal Luxe appreciated was how easy it is for the internal content creators to post content throughout its global network of websites. At L’Oréal Luxe, FirstSpirit allows content creators, such as non-technical editors and journalists, to easily publish news articles around the world without any technical assistance. Internal validation of content to ensure global consistency of L’Oréal Luxe’s brands is now fast and easy through the use of workflows tailored to the luxury brand’s requirements. 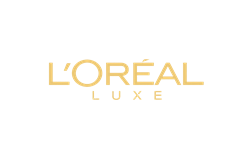 L’Oréal Luxe also takes advantage of the tight integration with Demandware to create “smart” links between content created within the CMS and product catalogs maintained within the e-commerce system. By implementing a centralized system for creating and validating content, L’Oréal Luxe has essentially developed a corporate content cloud for storing and publishing content through multiple channels on a global basis. e-Spirit is a leader in enabling companies to unlock the value of digital content and transform the way they communicate with customers and employees. Using the FirstSpirit content management system, organizations can create a Corporate Content Cloud connecting all their people, systems and applications to the centralized, real-time data, assets and information necessary to publish content with total accuracy and relevancy across all channels and devices. Founded in 1999, e-Spirit operates in 16 locations in the United States and Europe. Clients include Lancôme, Airbus, BASF, Bosch, Santander Bank, Urban Decay, Olympus, Barbri, Nord Drive Systems and WellDyne.